First look at the upcoming country music drama. One of the breakout stars of 2018 was Irish actress Jessie Buckley, thanks to her striking performance in thriller Beast. Buckley next stars in director Tom Harper's Wild Rose as a troubled young Glasgow woman attempting to follow her dreams of becoming a country star. The film also stars Julie Walters and Sophie Okonedo. 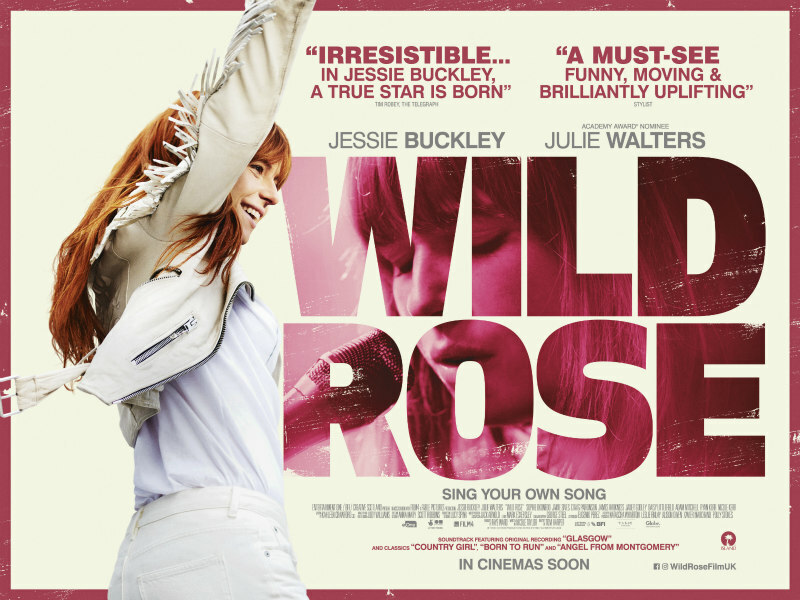 Wild Rose is in UK/ROI cinemas April 12th. Rose-Lynn Harlan, played by BAFTA Rising Star nominee, Killarney actor Jessie Buckley (Beast), is bursting with raw talent, charisma and cheek. Fresh out of jail and with two young kids, all she wants is to get out of Glasgow and make it as a country singer in Nashville. Her mum Marion (Julie Walters) has had a bellyful of Rose-Lynn’s Nashville nonsense. Forced to take responsibility, Rose-Lynn gets a cleaning job, only to find an unlikely champion in the middle-class lady of the house (Sophie Okonedo). Directed by Tom Harper, Wild Rose is an uplifting story with an original soundtrack about family, dreams and reality, and three chords and the truth.